Amanda’s career with Hughes White Colbo Wilcox & Tervooren, LLC, began in 1996 as a file clerk and administrative assistant. She continued working during the summers at the firm while earning her bachelor of science from University of Michigan, Ann Arbor. 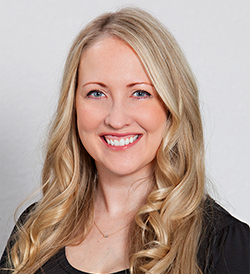 After graduating with a major in biopsychology and cognitive science, Amanda returned to Alaska in 2004 where she began her career as a paralegal specializing in complex civil litigation matters. She was also heavily involved with the Alaska Association of Paralegals for many years, serving as board member, vice president and chairwoman of several committees. Over the years, Amanda has taken on various responsibilities with the firm and is now serving as the firm’s administrator. She also continues to work as a paralegal on complex and document-intensive cases. Amanda was born and raised in Anchorage, Alaska, and her love for the state knows no bounds. When she’s not in the office, she enjoys being outdoors and enjoying the Alaskan wilderness, particularly if it involves hiking or kayaking. She also enjoys yoga, live music and traveling. 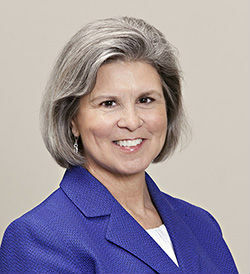 Peggy’s legal career began in 1975 in Florida where she was a legal secretary. She moved to Alaska with her husband in 1982 and started working as a legal secretary for Hughes White Colbo Wilcox & Tervooren, LLC, in May of that year. She enjoys the teamwork inherent in legal work. Wanting more of a challenge, Peggy decided to expand the on-the-job skills she had learned over the years. So while working for another firm between 1985 and 1988, she attended the paralegal program at University of San Diego graduating with honors in August 1987. Peggy returned to Hughes White Colbo Wilcox & Tervooren as a legal assistant in April 1988. She works primarily in the area of personal injury defense, but also supports attorneys in commercial litigation cases. She is a past board member of the Alaska Association of Paralegals and served as its secretary and chairwoman for the Membership Committee. For several years, she was also a representative to the National Federation of Paralegals. In addition to her work, Peggy enjoys reading, doing jigsaw and crossword puzzles and spending time with her family. Pamela White has always enjoyed helping people. So she loves her job assisting Jimmy White and Kimberlee Colbo primarily with family law cases. When not pouring over legal documents, Pamela enjoys time with her family, gardening, biking, golfing, camping, fishing and reading (especially historical fiction). Her most simple of pleasures is listening to the birds sing from her front porch swing. Rachel Galvez joined Hughes White in December 2017 as Steve Tervooren’s assistant. Rachel moved to Alaska when she was 10 and has been avoiding the cold, unsuccessfully, ever since. 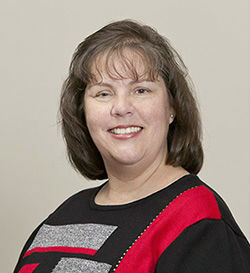 Since 1998, Rachel has worked in the field of law, beginning as a file clerk and then as a legal assistant in Alaska. She gained valuable experience at a prestigious firm in Ohio where she honed her paralegal and administrative skills, and upon returning to Alaska, successfully completed her Associate’s Degree in 2015. Rachel especially enjoys the research component of working in law because “there is something satisfying about finding that one piece of information that makes everything fall into place.” In her spare time, Rachel enjoys reading and hanging out with her husband and two fabulous children who make sure her life is anything but boring.